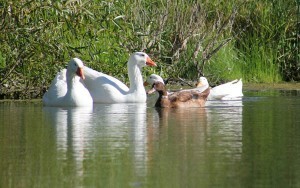 We are also happy to share our lives with a number of other animals on our homestead. 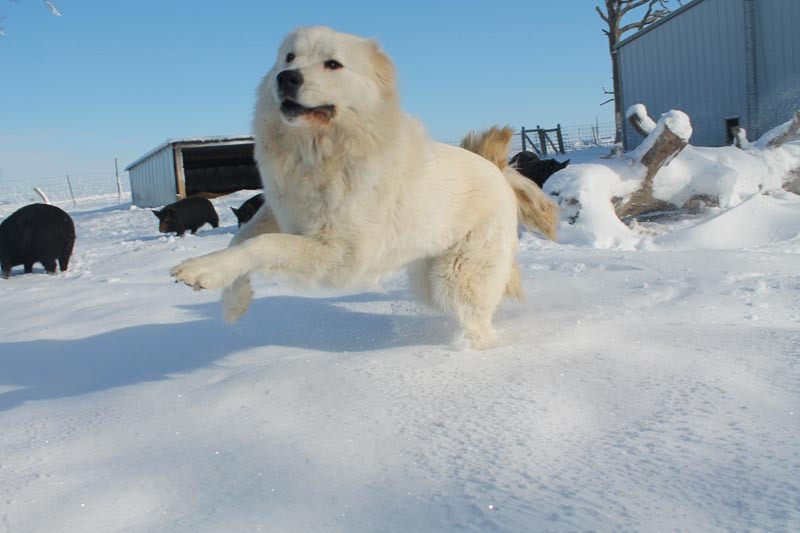 In 2012 we realized that Sovalye was slowing down and getting ready for retirement, so we brought home Lucy, a Great Pyrenees puppy, to become our new livestock guardian dog. She came from a goat dairy in Iowa, and you could tell the minute that she met our goats, she felt at home. Porter joined us in spring 2007 as a puppy. He is an English shepherd, which is one of the breeds considered to be a “farm collie.” He has strong herding instincts, which is why we bought him — to help us with our sheep. He is also a good all-around guard dog for the farm, alerting us when anyone arrives at the farm. Our livestock guardian, Sovalye, an Anatolian shepherd, worked for us faithfully for eight years, letting us know when coyotes or raccoons were threatening our poultry, sheep or goats, and even killing some predators. 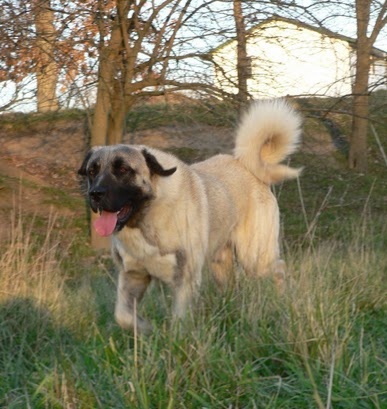 After unsuccessfully trying a few different breeds of farm dogs, we did a great deal of research and decided to get an Anatolian in 2004. 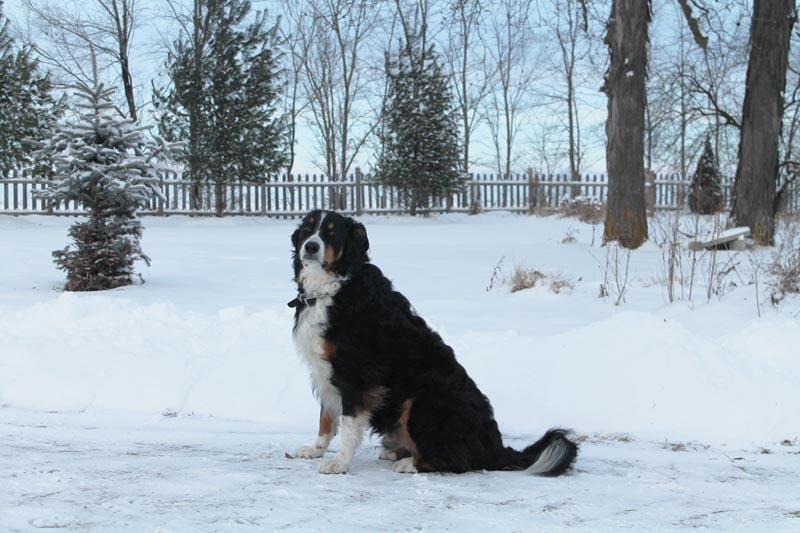 The breed originated in Turkey, where they are still used primarily as livestock guardians. Many Anatolians in this country are only a few generations removed from dogs who are still living in Turkey guarding sheep over thousands of acres. We also have a few ducks and geese that grace our pond, and in 2015 we decided to add three peafowl simply because they’re beautiful!